System: This includes settings for changing the display and control notifications, analyzing your apps’ usage, controlling Snap and multiple desktops, moving in and out of tablet mode, kicking in Battery Saver, controlling how long the screen stays active when not in use, analyzing how much storage space is being used, handling downloaded maps, assigning apps to specific filename extensions, and looking at your PC’s name and ID. 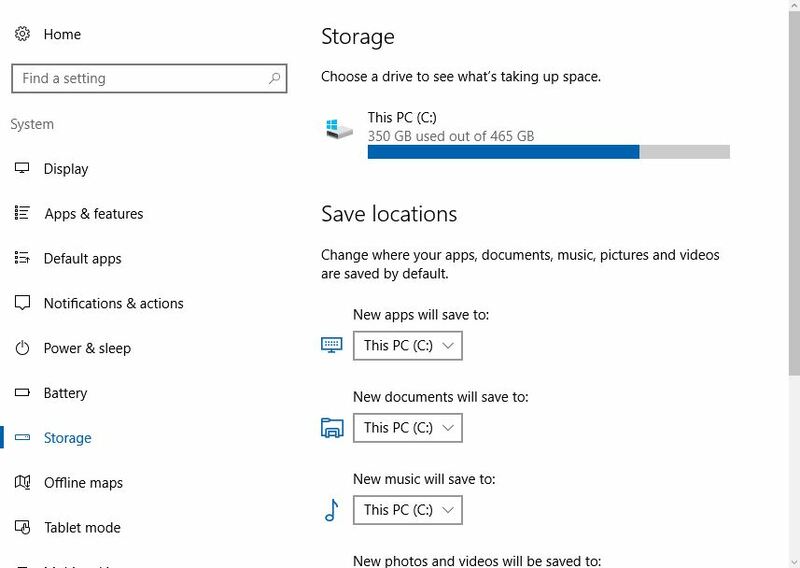 In the Apps & features pane, you can move apps from one drive to another. in Storage , you can tell Windows where to store certain kinds of files. Devices: From here, you can control printers, scanners, and other connected devices; turn Bluetooth on and oﬀ; change mouse settings (with a link to the Control Panel app for mice); turn on and oﬀ autocorrect and text suggestions; manipulate the pen; and specify what AutoPlay program should kick in when you insert a drive or card. Network & Internet: This lets you turn Wi-Fi oﬀ and on and change your connection, with lots of links to the Control Panel; join or leave a homegroup (through the Control Panel); set up the Windows Firewall (again through Control Panel); go into airplane mode, thus turning oﬀ both Wi-Fi and Bluetooth connections; track how much data has been sent and received in the past month, by app; set up a VPN; work with a dial-up connection; and manually set a Proxy. Personalization: This catchall category includes setting your wallpaper (background), choosing accent colors, putting a picture on your lock screen, and controlling the Start menu. There’s a link to a Control Panel applet to let you apply desktop themes. Accounts: This lets you disconnect or connect to a Microsoft account, set your account picture, and change information about your account with Microsoft’s account database in the sky. 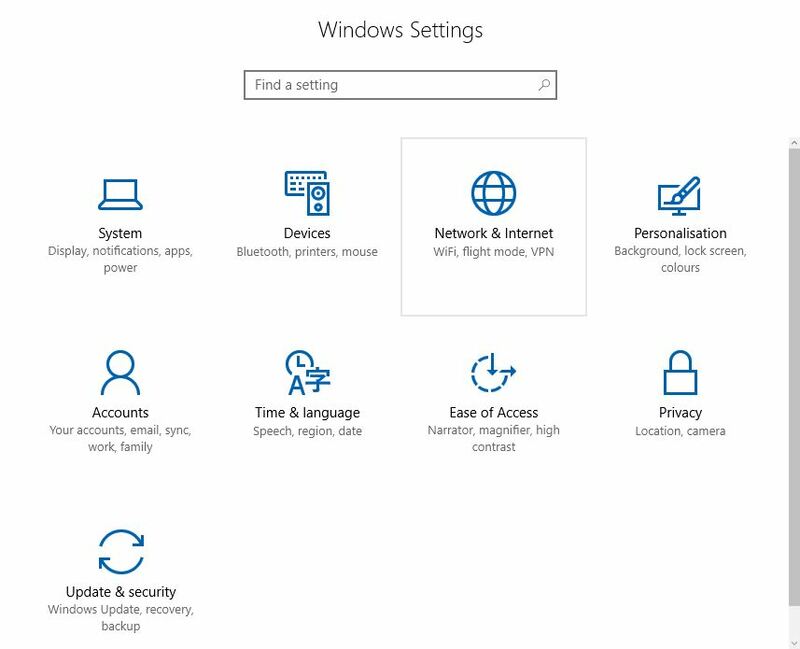 Find options that enable you to add a new standard user (you have to use the Control Panel to change a standard account into an administrator account), change your password or switch to a picture or PIN password, or switch between a Microsoft account and a local account. You can sync your settings among multiple computers that use your login. There’s also a section that helps you connect to a domain (typically a company or organization network) or Microsoft’s Azure Active Directory in the cloud. Time & Language: Set your time zone, manually change the date and time, set date and time formats, add keyboards in different languages, control how Windows uses speech and spoken languages, and set up your microphone for speech recognition. Ease of Access: Microsoft has long had commendable aids for people who need help seeing, hearing, or working with Windows. All the settings are here. microphone locked up. You can also control beacons and other sync proclivities, including giving Windows permission to send your full health, performance, and diagnostics information to Microsoft. Update & Security: This is an abbreviated form of the Automatic Update settings found in the Control Panel. You can turn File History on and oﬀ from this location, under Backup, and use Go to Backup and Restore (Windows 7). The Windows Defender (antivirus) settings live here. From Recovery, you can reset your PC, this let you choose to keep your files or remove them, then reinstall Windows.